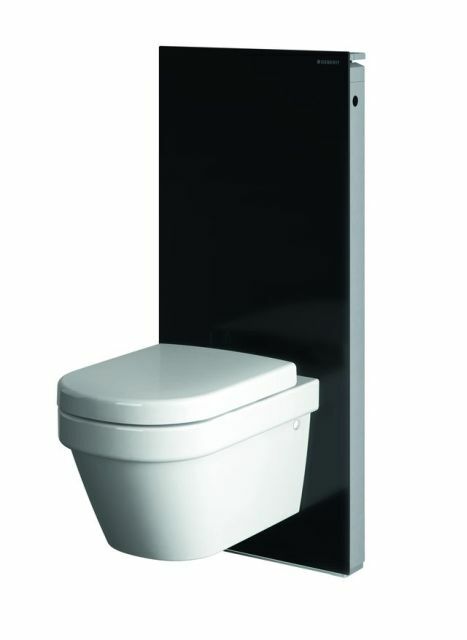 Monolith sanitary modules for wall hung WCs. For wall mounted WC with 240–260 mm wall drainage outlet. For use in wall outlet connections, outlet height in excess of 230 mm. Requires Monolith feet if installing onto a low weight bearing or dry wall installation (131.104.00.1). For use with Geberit AquaClean Sela. Not suitable for Geberit AquaClean8000/8000plus. For pans with contact surfaces smaller than 170 mm (see accessory 131.105.00.1). Wall hung WC, H101, with outlet pipe connection. Wall hung WC, H114, with outlet pipe connection.